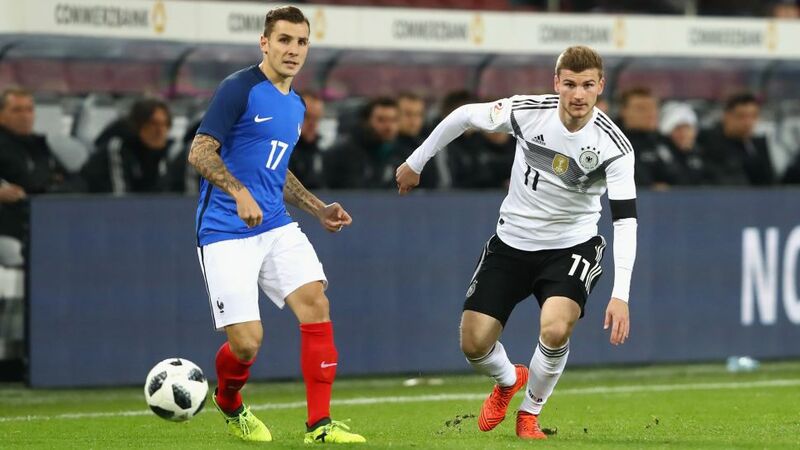 Germany have been drawn against France and the Netherlands in Group A1 of the UEFA Nations League, an inaugural international tournament initiated by UEFA. The games will take place home and away in September, October and November 2018. If Germany win the group, they will progress to the UEFA Nations League Finals in June 2019 (comprising of semi-finals, third-place play-off and final) against the winners of Groups A2, A3 and A4. The host for the Finals will be decided in December 2018 and the winner of the Finals will be crowned the inaugural UEFA Nations League winners. "It's really interesting," said Germany head coach Joachim Löw. "The Netherlands and France are our neighbours and both have an extensive football culture and history. They're interesting for the fans and for all of us. The most important thing was not to have extra international games because the players are already at their limit. I think it's good to play fewer friendlies and more game with a competitive element to them." Bayern Munich and Germany attacker Thomas Müller was also enthusiastic about the draw: "It's an incredible group. An interesting start to the new competition." The teams that finish bottom of the four groups A will be relegated to League B for the 2020/21 UEFA Nations League, while the winners of Groups B1, B2, B3 and B4 will gain promotion. The Nations League is largely separate from qualifying for the EURO 2020 final tournament, which will take place between March and November 2019 with UEFA’s 55 member nations split into 10 groups. If Germany fail to claim one of the 20 automatic spots at UEFA EURO 2020 by finishing in the top two of their qualifying group, they could still go to the finals if they have won their Nations League group. All 16 group winners, across the sections A to D, will go into the play-off round that will decide the remaining four EURO 2020 places. Watch: Will Germany's new golden generation shine at the UEFA Nations League? Held between 26 and 31 March 2020, the four group winners from each section will face each other in a semi-final, i.e. A1 v A2, A3 v A4, with the winners progressing to a final match to decide the qualifying place. Nations League group winners in sections B, C and D will do the same. If Germany qualify automatically and also won their Nations League group, the next-best-placed team in the group that has not already clinched a EURO 2020 finals place will go into the play-off round instead.